Come celebrate the 50th anniversary of ASIFA and the 10th anniversary of ASIFA-Colorado with a special, members only screening. This is an exclusive opportunity to screen special international animations that are not yet available to general audiences. 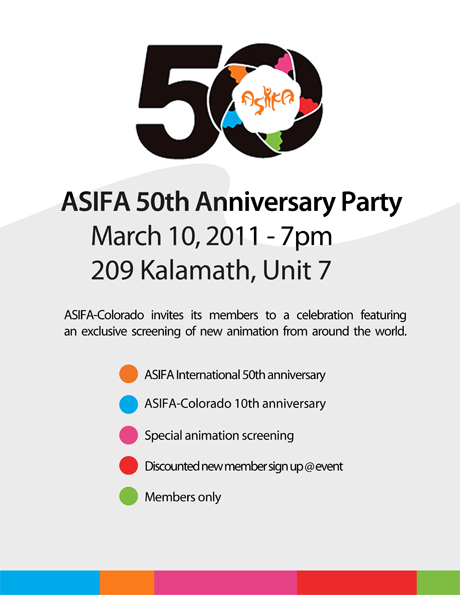 We hope that you will come out to celebrate a half century of ASIFA and a decade of ASIFA-Colorado. See the events page for more. See you there!